Mr. McJessy's practice is highly diverse and includes handling both a wide array of civil litigation matters as well as counseling clients on various business and intellectual property matters. As a trial lawyer, Mr. McJessy has extensive experience litigating cases before the Illinois state courts and the Federal District Court for the Northern District of Illinois where he is a member of the Trial Bar. Mr. McJessy also has experience in various other state courts including courts in South Carolina, Texas, California and Michigan. A significant portion of his work involves representing clients in private arbitration proceedings. 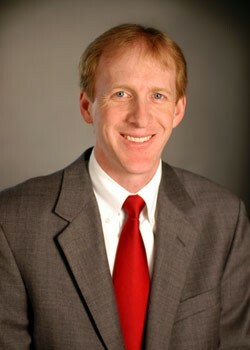 Mr. McJessy's civil litigation experience includes representing individuals and corporations, both as plaintiffs and defendants, in lawsuits involving claims for trademark and trade dress infringement, copyright infringement, breach of contract, building defects, property law disputes, ERISA claims, insurance coverage disputes and civil rights. Mr. McJessy's intellectual property practice includes prosecuting trademark applications before the United States Patent and Trademark Office, representing clients in opposition proceedings before the United States Trademark Trial and Appeal Board, and prosecuting copyright applications with the United States Library of Congress Copyright Office. Mr. McJessy also has extensive experience counseling clients on various intellectual property issues, including the licensing of intellectual property rights. Prior to founding MC&T, Mr. McJessy was with Lord, Bissell & Brook, now known as Locke Lord, where he represented Fortune 100 companies, small businesses and individuals for over eight years. Mr. McJessy received his law degree from Northwestern University Law School where he was an Articles Editor for the Northwestern University Law Review. Mr. McJessy is the author of Contract Law: The Proper Framework for Litigating Educational Liability Claims, 89 Nw. U. L. Rev. 1768 (1995). He received his B.A. from Kent State University in 1989.